Antenna Includes 20' of Coaxial Cable Free !!!! A $5.95 Value !!!!! 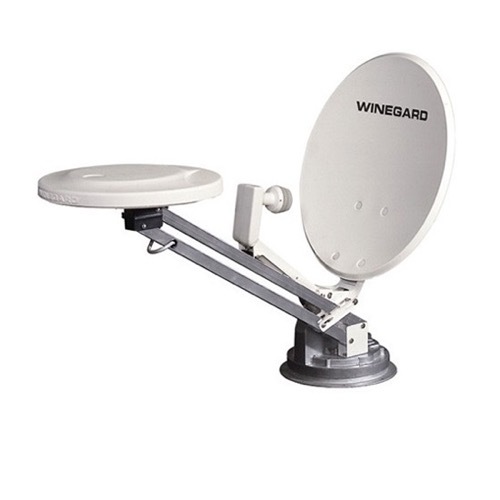 Eighteen inch digital satellite dish and off-air omnidirectional RoadStar antenna together - one mount and one install for satellite or local broadcasts. Please Note: This antenna does not include the Digital Magic elevation sensor (DM4000). The antenna comes with RV-7042 white on/off power supply switch with +12 VDC receptacle, built-in two-way splitter for second TV set, power indicator light, cable/satellite input.